Hey friend! We know just how frustrating it can be to pay a monthly gym fee, or to have to purchase your own home gym machines. 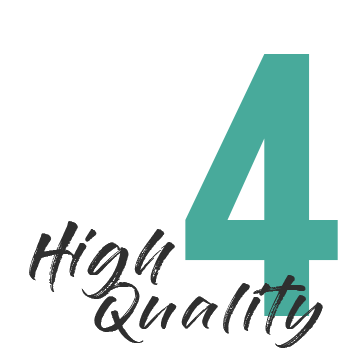 Luckily, there is actually gear out there that is cost-effective and tone effective. 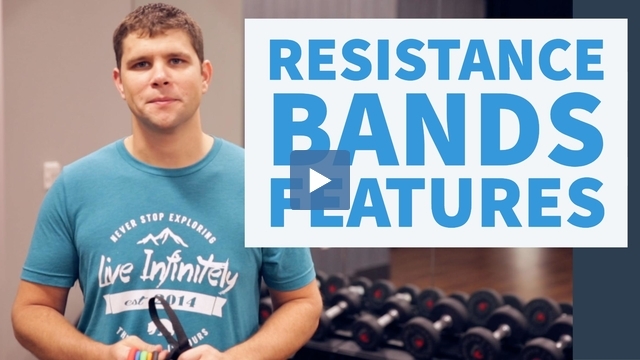 One of our favorite pieces of home gear that fits under that description is resistance bands. Resistance bands can make a great addition to your collection of workout gear, especially if you just want to be able to easily work at home.They're travel-friendly, easy to use, and more. You can use your door, your foot, and even your hand as anchors. This makes it super easy to not only exercise while traveling, but to switch your routine up and take it to the park or elsewhere. 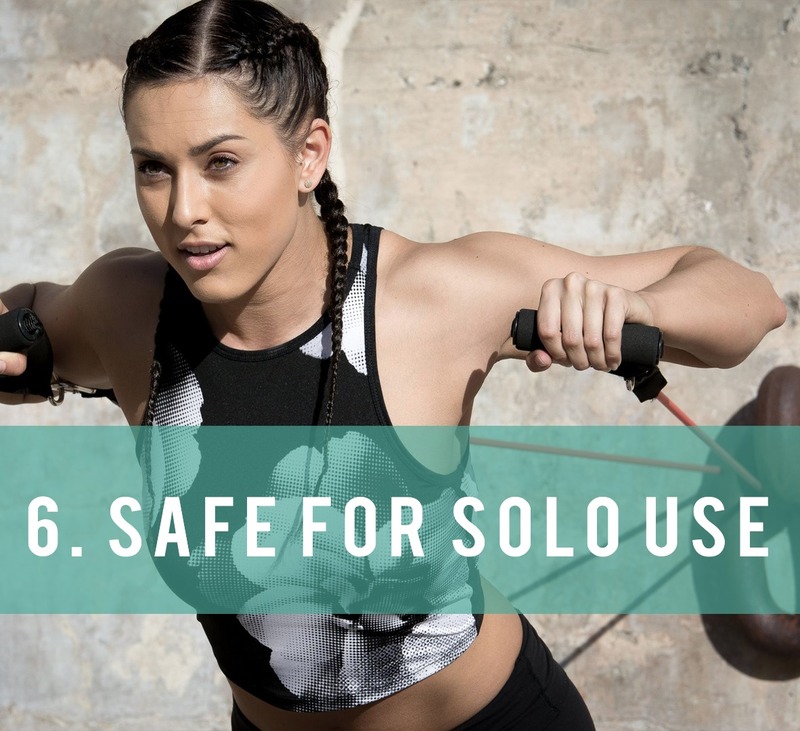 No longer limiting yourself to a gym or any set location! and equipment - saves time and money. Bonus! Sometimes it's easy to shy away from lightweight home gym gear for the worry that it won't tone anything. But, most resistance bands are stackable, meaning you can increase the resistance you're working with, just like an actual weight machine. Overtime, you can increase the resistance by using a different band, or by using multiples bands at the same time. Our gear is stackable up to 105 pounds. and different anchors such as door anchors, foot straps, etc. people and work out at the same time. 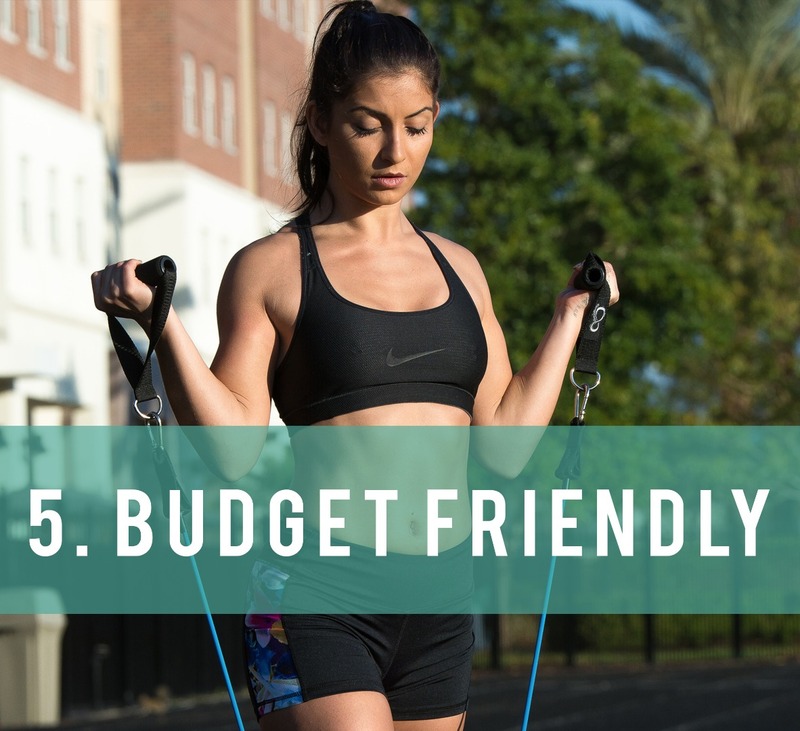 Unlike ellipticals and big weight machines, this fun exercise gear won't stretch your budget at all. You can even get two sets for much cheaper than a machine, allowing you and a friend to work out together. With high quality resistance bands, you're set for years and years to come with a variety of workouts and minimal upfront investment. anytime, anyplace and without the need for assistance! You can use your door, your foot, and even your hand as anchors. This makes it super easy to not only exercise while traveling, but to switch your routine up and take it to the park or elsewhere. No longer limiting yourself to a gym or any set location! This includes your back, arms, shoulders, legs, and even your abs. 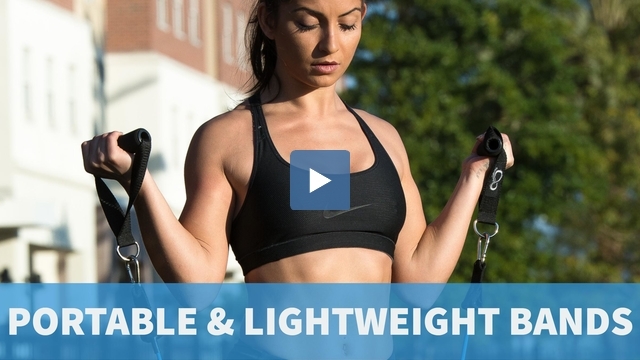 It's the perfect solution because with one set of gear, you can get a whole body workout. Definitely cuts out the need to invest in a variety of different weights and equipment - saves time and money. Bonus! Sometimes it's easy to shy away from lightweight home gym gear for the worry that it won't actually tone anything. But, most resistance bands are stackable, meaning you can increase the weight or resistance you're working out with, just like you can with an actual weight machine. Once you can easily work out with one of the lightweight bands, you can increase the resistance by using a different band, or by using multiples bands at the same time. Our gear is stackable up to 105 pounds. If you want to work out with a friend, you can share the same set of bands. Most exercise bands come with different bands and different anchors such as door anchors, foot straps, etc. That means you can easily split up the gear between two people and work out at the same time. Workout bands are so easy and safe to use, that you can work out alone. You don't need someone to spot you or help with your gear. With your commitment and your convenient set of fitness bands, you'll be ready to go. No need to plan your workouts around your friends' schedule anymore. Bust out your goals anytime, anyplace and without the need for assistance! We're confident that you'll love adding resistance bands to your home workout routine. Now, though, you've got to find yourself a reliable set. Look no further. We LOVE working out with the best gear there is. When we couldn't find the PERFECT set of resistance bands, we just decided to make our own. The Live Infinitely 11-piece set is stackable and super easy to use. You'll easily be able to notice the above perks. Our gear actually comes with some more perks, though, the kind of thing you don't think about, but definitely need when it comes to resistance bands. Our set is all-inclusive. In our zipper carrying bag, you'll find five labeled, stackable resistance bands, ranging from five to 40 pounds. There will also be two foam handles, two Neoprene ankle straps, and one oversized door anchor. 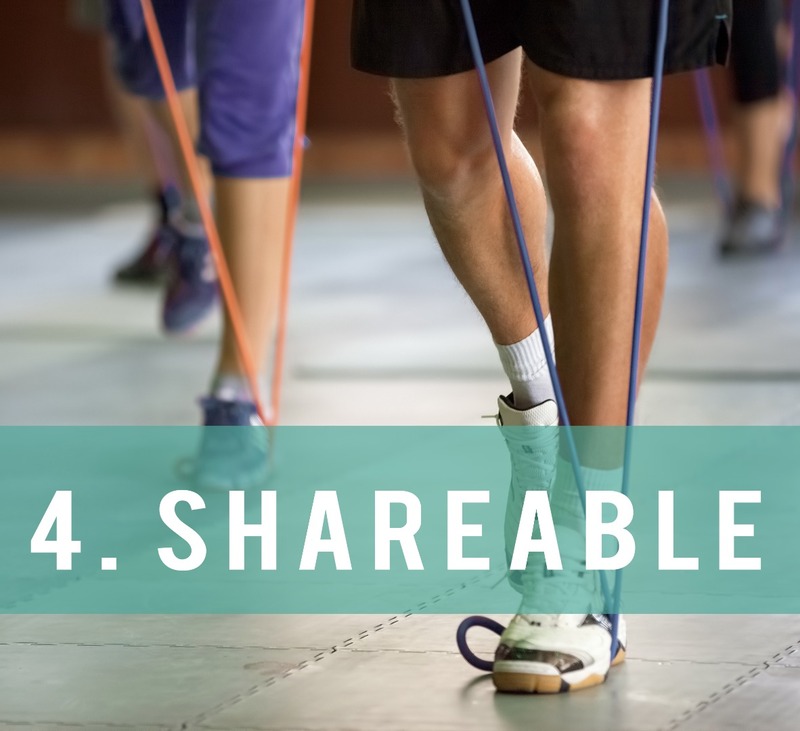 Everything you need to work out on your own or with a friend will all be together.Additionally, the bands are color-coded so you can quickly find the weight you're looking for. 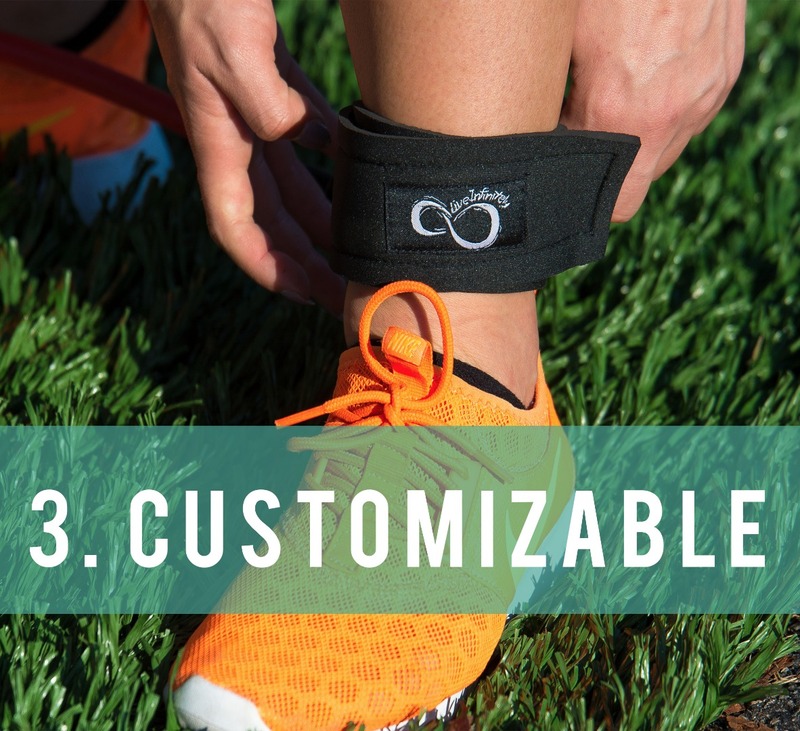 The Live Infinitely fitness bands are comfortable and easy to use.Like we mentioned, the ankle straps are made out of durable and sweat resistant Neoprene. The handles are soft and sweat absorbing with their 1/4" foam. Needless to say, they are gentle on the skin. And other than sore muscles from awesome workouts, your body with be ready for all the workouts you throw at it! They're built to last. We know how it is - you don't want to waste time replacing your gear after only a month of use. Don't worry we've got your back and designed our bands to last years by your side. Plus, our one year unlimited warranty will ease any worries or problems you might come across as you begin to use your great gear. The quality is top notch. Our oversized carabiners, thickened tubes, large beaded door anchor, load bearing box stitched connections, and forged D ring connections make your set easy to use and trust.  After extensive testing and revisions, we enhanced all the details - big or small - to create our final product. Giving you the best set of bands yet! Healthy Eating Challenge included! 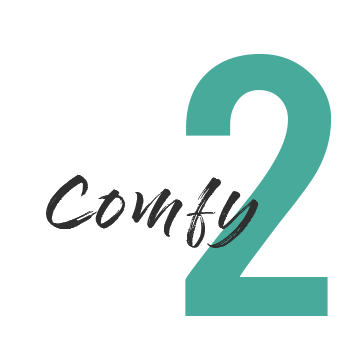 All fitness products ordered on our website come with the 30 Day Healthy Eating Challenge by Marci Barker Fitness, giving you all the tools you need to reach your health goals!  Checkout the reviews from our other customers below! Checkout the Features of Our Resistance Bands! With our exercise bands, you'll have at least 10 perks to make your workout routines even better. We'll even send you a free ebook with some awesome resistance band workouts. They're the workouts we use all the time to tone and stretch our muscles. If you're ready to bring the gym with you wherever you go, you need these exercise bands. They'll help you Live Infinitely. "These tubes are the best I have ever used.The quality on the bands surprised me. They feel durable, tough, and well made. What's more, each band is not only color coded, but labelled with the resistance "weight", so you don't have to memorize or lookup the values of each color! This is a small touch, but very helpful. And since you can stack them, you can mix and match easily to get the desired resistance as you progress in your strength, or change exercises. Love it!order another set for my daughter when she wears out the cheaper quality tubes she has been using." 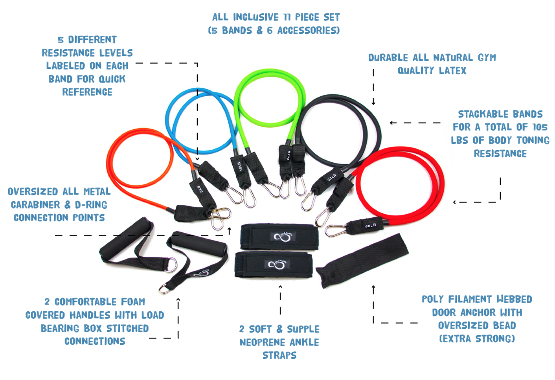 "These resistance bands are as good or better in quality as the $30 - $40 sets that you'll see from other manufactures.They provide a plethora of resistance levels by combining different bands together. One of the most unique features of this set is that the level of resistance (5 lbs, 10 lbs, etc...) for each band is labeled on one end, making it super simple to choose the right bands for each exercise. Honestly, I can't find anything negative about these bands, and for the price, there is no way you can go wrong." Get Started On Your Fitness Goals Today!